This CHRGP certification is designed for professionals who wish to understand and become influential within organizations regarding the management of human resources. The CHRGP training covers key areas of the Human Resources Management while balancing between the theory and the practical challenges of this function. 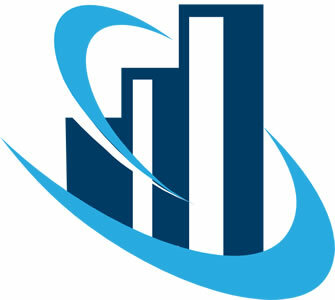 The CHRGP, is expected to be an expert in every human resource function, including everything from hiring to compensation to payroll to performance management and others. The CHRGP is expected to be able to apply this knowledge to the daily situations that arise in your workplace. Download the course info kit for a comprehensive outline of what's covered in the course. Anyone who requires a generalist understanding of the Human Resources function. What do past client say about this course? 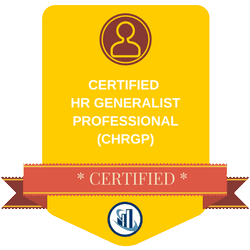 This digital badge designates you as a Certified HR Generalist Professional (CHRGP)™, which you may use on business cards, resumes, LinkedIn profiles, website profiles, email signatures and more. In addition to the Certificate of Completion for the course in general, if you successfully pass the Certification exam, you also receive a CHRGP™ Certificate to mark your achievement. In order to keep your status as a CHRGP™ in good standing, you need to regularly take Continuing Professional Development courses.